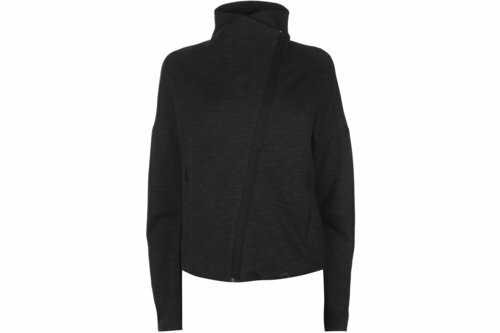 Always be on your game in this Ladies adidas Heather Zip Jacket in Black and Grey. It is perfect for any exercise thanks to a soft, lightweight construction whilst also featuring a diagonal full zip front. The look is completed in a heather print and adidas branding.